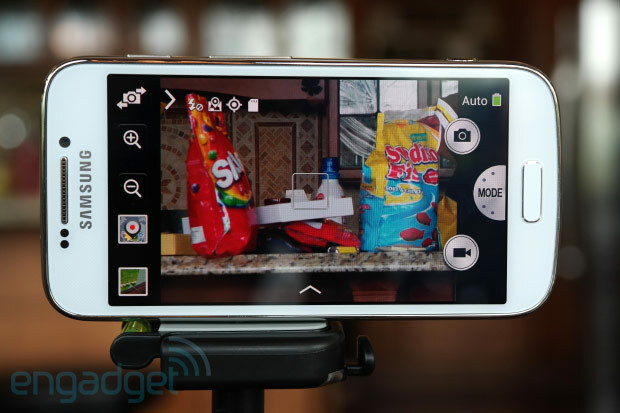 Android on a point-and-shoot? Last year we learned that it could be done. 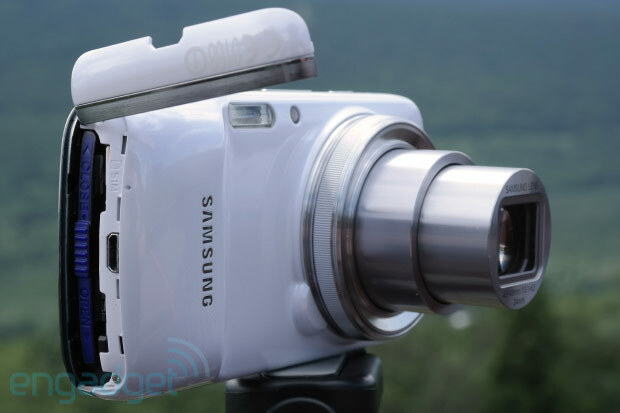 But with some features that duplicate the functionality of a smartphone without an ability to make calls, Samsung's Galaxy Camera was a confusing mix of form and function. It was very much a first-generation device, and while they may have regretted it later, some curious early adopters did drop $500 for the soon-to-be-obsolete hybrid. The cumbersome compact, with its massive 21x lens and power-hungry 4.8-inch touchscreen, may not have won over the photography community, but Samsung's 2013 approach has a much better chance at success. With a design that's based on the Galaxy S4 Mini, the Galaxy S4 Zoom adds a fair amount of heft to accommodate the feature that sets it apart from every other smartphone on the market: a 10x 24-240mm optically stabilized lens. But it's still pocketable, believe it or not, and it functions quite well as a phone. While the Galaxy Camera was first and foremost a camera, the Zoom's primary function is as an ordinary Android smartphone -- albeit one with a larger sensor and a powerful lens. Can it replace both devices? And will you want it to? Shoot past the break for our take. 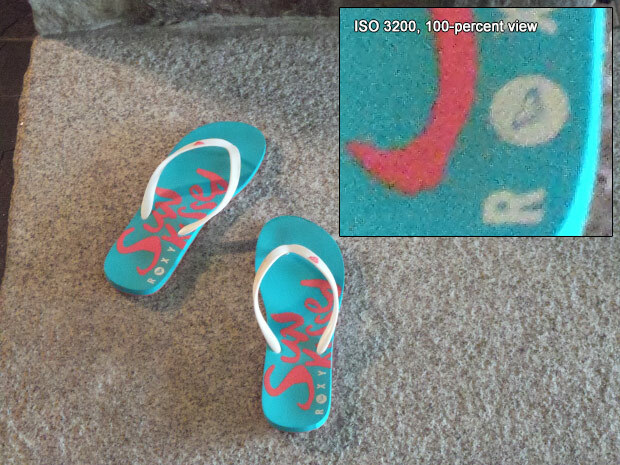 Samsung's GS4 Zoom may be a slight improvement over the Galaxy Camera, but it's still not very good. 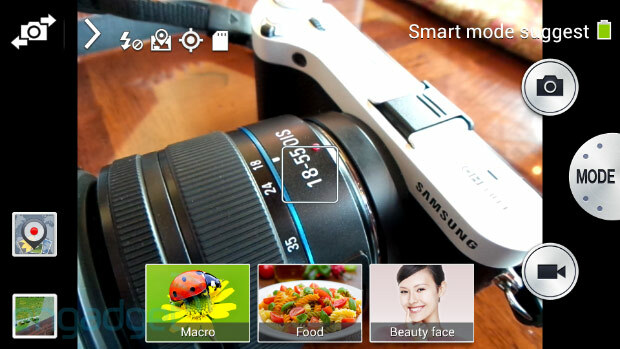 How would you rate the Galaxy S4 Zoom? Under the hood, the Zoom (SM-C101) is far more similar to the GS4 Mini than Samsung's full-fledged flagship. There's an Exynos 4212 chipset with a dual-core 1.5GHz Cortex-A9 CPU and 1.5GB of RAM. The battery capacity has been boosted slightly, from 1,900 to 2,330mAh, given that the increased body size can accommodate a larger cell. The Galaxy Camera, for its part, includes a 1,650mAh pack, and considering the paltry longevity of that device, we certainly appreciate the extra juice here. If your current smartphone has a 5-inch or larger touchscreen, the Zoom's panel is likely to be a bit of a letdown. It measures just 4.3 inches, and while the AMOLED structure does enhance contrast and saturation, the 960 x 540-pixel (qHD) resolution is not ideal. It looks all right given the relatively small 4.3-inch panel size, but we would have preferred to see a higher-res display on such a photo-centric device. With the added camera components, there's a lot of potential for damage here if the device collides with another surface, but the Corning Gorilla Glass 3 layer should help protect the screen from scratches, at the very least. The Zoom adopts the GS4's plasticky design, so right off the bat it doesn't feel like a premium device. It's significantly thicker than any current smartphone, and even most point-and-shoot cameras. Still, it fits in a jeans pocket, and it's comfortable to hold both as a phone and as a camera. 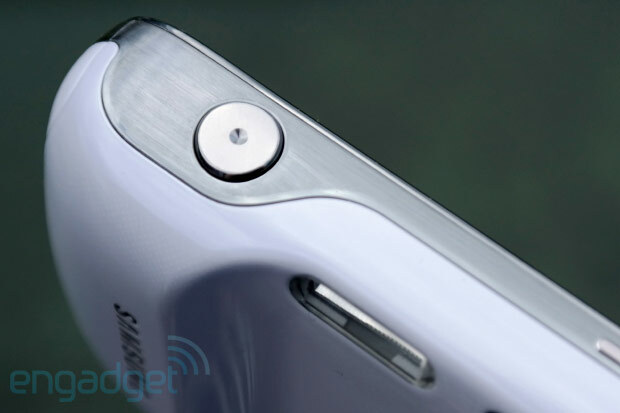 Curiously, every side of the device is slightly curved, so it's impossible to stand the camera up on its own. You can mount it on a tripod, of course, but if you don't have one around and need to do some hands-free shooting, you're out of luck. On the imaging front, there's a 1/2.33-inch, 16-megapixel BSI CMOS sensor -- the chip is large for a phone, but on the smaller side when it comes to cameras. The f/3.1-6.3, 24-240mm, 10x optical zoom isn't particularly fantastic for low-light shooting, but if you're used to snapping images on a standard smartphone, the optics here should be more than adequate. There's a 1.9-megapixel front-facing camera as well, for capturing self-portraits and conducting video chats. And there's a standard xenon flash on the rear. While the Zoom resembles a fairly sizable point-and-shoot camera from behind, it looks entirely like a compact smartphone from the front. Hardware controls are incredibly limited, with the standard home key representing the only button on the front, positioned just below the bottom of the LCD. It's flanked by the standard menu and back touch controls that should be familiar to any recent Samsung smartphone owner -- a backlight comes on to make them visible whenever you tap, and they fade from view after a user-selectable period of inactivity. On the right side of the device (top side in camera mode), there's a narrow power button up top, a volume rocker below and a shutter release button towards the bottom, positioned just beside the handgrip. On the bottom (right side in camera mode), there's a battery compartment with an incredibly flimsy door, and a micro-SIM slot beneath a flip-out plastic cover. Around the left side, you'll find a microSD slot and a tripod socket -- the latter is filled with a removable plastic dowel, so it's flush when not in use. On the top, there's a standard 3.5mm headphone jack and an infrared port, which pairs with the included WatchON app, enabling the device to serve as a universal remote control. Additionally, there's an earpiece, front-facing camera and various sensors above the display, and a flash and focus-assist light flanking the 10x camera lens as well. There are microphones installed on both the left side and the right in camera mode, but that second mic is positioned in such a way that it's blocked by your hand if you're holding the device by the grip. Finally, a rotating ring installed around the lens serves as a zoom trigger in shooting mode and enables other camera-related functions as well, which we'll cover a bit more later on. Photojournalists won't want to touch this shooter with a 10-foot pole, no matter how desperately they may want to own an LTE-connected cam. With a full-fledged smartphone OS running things behind the scenes, software is clearly a focus for this camera/phone hybrid. The device ships with Android version 4.2.2 (Jelly Bean), and includes the TouchWiz user interface. As you'd expect, many apps and software features that Samsung introduced with the Galaxy S 4 are present here as well. WatchON, Group Play, S Translator and Safety Assistance are all here, as is the SwiftKey-enabled swipe option for inputting text, though Smart Pause, Smart Scroll, Palm Motion, Air View, Air Gestures and an LED notification light are absent. For a detailed look at those features, check out our Galaxy S 4 review. Without question, the Zoom is strictly a consumer device; photojournalists won't want to touch this shooter with a 10-foot pole, no matter how desperately they may want to own an LTE-connected cam. The good news is that there are quite a few native options for assistive shooting, all built into the app. The default mode is Auto, with adjustments limited to flash mode (auto, on and off) and other basics like resolution (16MP 4:3, 14MP 3:2, 12MP 16:9 and 10MP 3:2) and movie capture (1080p30, 720p60, 720p30 and VGA). In Smart mode, you can select from Macro, Food, Indoor, Action Freeze, Rich Tone, Panorama, Waterfall, Animated Photo, Drama, Eraser, Sound & Shot, Silhouette, Sunset, Night, Fireworks, Light Trace, Smart Mode Suggest, Beauty Face, Best Photo, Continuous Shot, Best Face, Kids Shot, Landscape, Dawn and Snow presets -- 26 in all. We found Smart Mode Suggest to be the most useful, given that the camera can recommend several options based on the current scene. Suggest also cut down on screen taps -- without physical buttons and dials, you'll be spending far too much time navigating menus as it is, so in this case, automation is indeed welcome. For more advanced photographers, there's an Expert option as well, which gives you access to Program, Color Wizard and Manual mode. That latter pick allows for the most control overall, as you're able to select both aperture and shutter speed, as well as ISO, white balance, metering and drive mode. Making tweaks to aperture and shutter speed between shots is moderately arduous -- you'll need to either jump back into the mode menu or tap the on-screen aperture, shutter speed or ISO readout and slide to adjust. 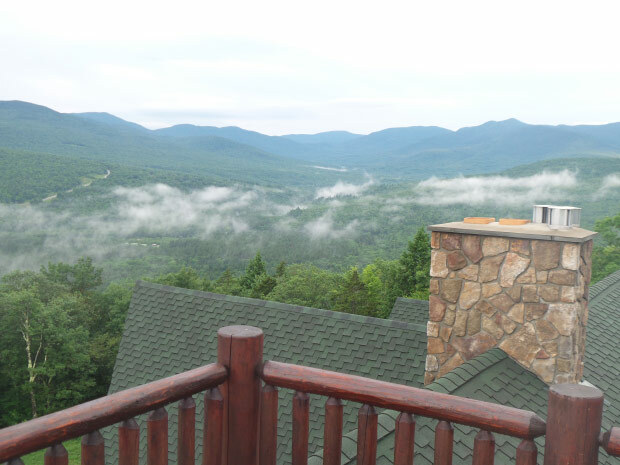 From there, there's really no limit to how you can use the Zoom. With a full-fledged version of Android running, you can download thousands of apps for editing and sharing images and videos. Generally, though, you'll want to do all of your capturing within the native camera app, as there's really no other match for the level of control you can access there. Take Instagram, for example. While the app loads and can be used for capturing images, there's no option to zoom or to use the hardware shutter release to snap a shot. To use those features, you need to capture your image using the native app, and then share it through Instagram, rather than shooting and sharing all at once. The same applies to countless other tools. The Zoom doesn't stand a chance against purebred opponents like the Sony RX100 or Canon S110. With the Zoom, image quality is just as important as the device's performance in other disciplines. We'll start by saying that we noticed some improvement over last year's Galaxy Camera, so if you were pleased with the shooting there, you'll probably be satisfied after capturing a handful of shots with the GS4. But with a sensor type that you'll often find in low-end point-and-shoots, and ordinary optics, the Zoom doesn't stand a chance against purebred opponents like the Sony RX100 or Canon S110 -- pricey dedicated shooters that pack tremendous imaging punch, but without the connected features offered here. By default, the Zoom is configured to be a phone first, and then a camera. When you first power it on, you'll see the home screen, and the lens will remain retracted. Tapping the camera icon will activate the lens, however, and after a quick settings adjustment, you can jump directly into the camera app whenever you tap the power button from then on. 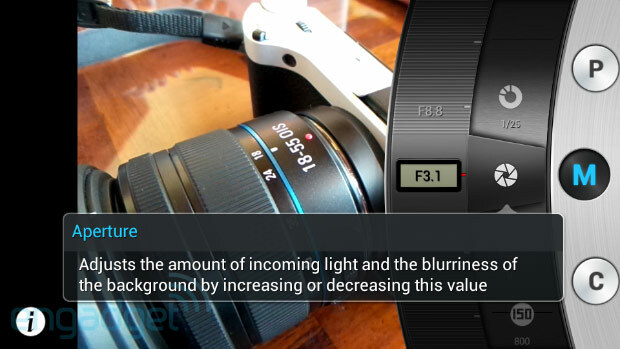 In its default configuration, you can also activate the camera by turning the ring around the lens to select a mode, then pressing the shutter release once to extend the lens. Alternatively, you can turn the dial to select a mode, and then tap the screen to launch the shooting mode. 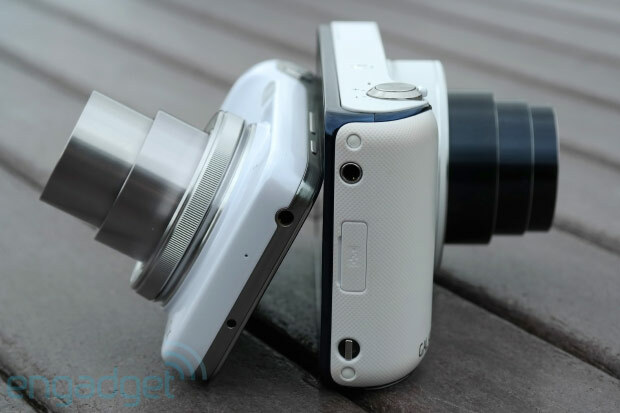 Like any other Android device with a lens, the Zoom can also shoot HD video. But despite its name, you're definitely not going to want to zoom as you capture footage. Zooming, both when shooting stills and motion clips, is quite clunky and inaccurate -- achieving a precise focal length can be difficult, and the motor is anything but smooth. If you happen to zoom while capturing video, the microphone will almost definitely pick up the motor noise, even if you have the camera set to lower the audio levels as you move the lens. Then, once you do reach a desired focal point, the lens often hunts as it struggles to achieve focus. Additionally, if you have the focus-assist light activated, it'll fire off when you tap the screen to make a correction. Video looked acceptable otherwise, but captures certainly weren't superior to what you'd achieve with a mid-range smartphone. And how do the stills look? Not so great, unfortunately. Image quality is fairly inconsistent, even when shooting in bright daylight, with color balance and exposure shifting from shot to shot. Indoors, you'll want to stay away from higher sensitivity settings -- the camera can snap at up to ISO 3200, but you'll probably want to avoid venturing beyond 800. Let's take a look at some samples. This indoor shot was captured at f/4.9 with a 1/8-second exposure. Because of the camera's maximum aperture at this focal length, a sensitivity of ISO 3200 was required, resulting in significant noise visible even when viewing the image at 25-percent. As a result, colors also appear washed out. 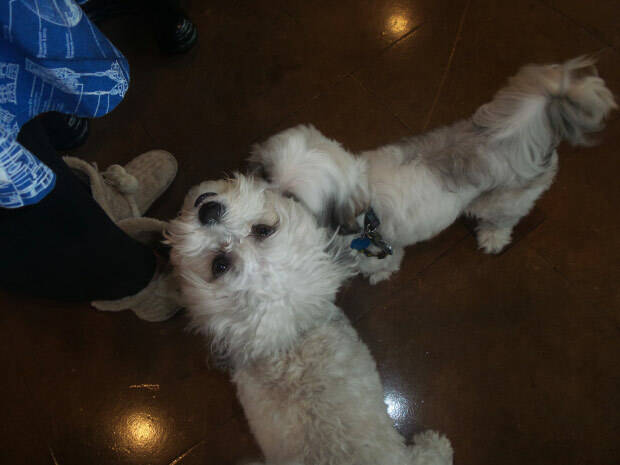 These pups were photographed using the Zoom's automatic mode. The camera opted for an aperture of f/3.1, a shutter speed of 1/40 second and a sensitivity of ISO 125. The flash did fire, but failed to reach other areas of the frame, resulting in an underexposed image that lacks visible detail. This outdoor image was captured at f/3.9 with a 1/50-second shutter speed and a sensitivity of ISO 100. It's slightly overexposed, resulting in a relatively modest loss of color detail. 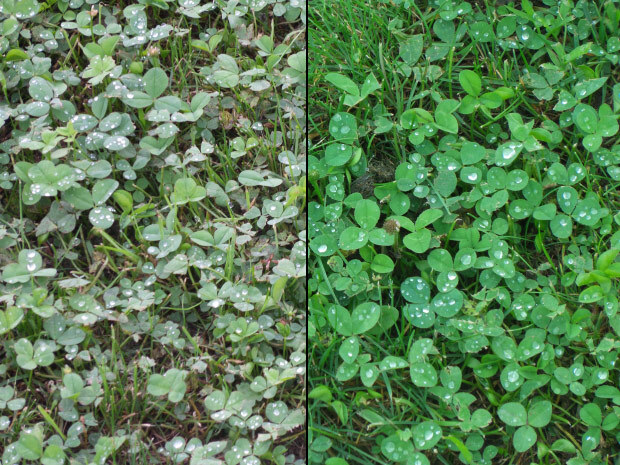 Curiously, both of these shots above were captured with nearly identical exposures, though the weeds in the left half of the frame are clearly less vibrant than those in the right. That former section was shot at f/6.3 with a 1/25-second shutter speed at ISO 100, while the right frame was captured at f/6.3 with a 1/30-second shutter speed, also at ISO 100. The camera was set to auto mode. Ending on a positive note, the Zoom snapped this shot at f/4.4 with a 1/80-second shutter speed and a sensitivity of ISO 100. Colors are accurate and vibrant and the camera managed to expose properly. During regular use, the device felt incredibly sluggish. Granted, we've become accustomed to smartphones running quad-core processors, so the drop down to just two cores definitely took some getting used to. Launching menus within apps or the OS came along with a sometimes seconds-long delay, and jumping from one activity directly to the camera app to capture a shot sometimes meant uncomfortably long holds. Unfortunately, this puts the Zoom at a serious disadvantage compared to just about any dedicated point-and-shoot. SunSpider: lower scores are better. Samsung Galaxy S III was benchmarked on Android 4.1. Shutter lag is also an issue with the Zoom, so if you're shooting action or really any moving subject, there's a very good chance you're going to miss the shot. With the camera preset to Auto mode and the flash turned off, the device took about three seconds to capture its first image with the lens in the retracted position. With the lens extended and the camera app open, the delay dropped to 0.5 seconds. In continuous-shooting mode, the camera captured 20 consecutive images at a rate of about four shots per second. Phone performance was spot-on. We were able to make and receive calls just as well as we could with most other smartphones, and audio quality was satisfactory. The microphone and earpiece volumes are definitely sufficient, so if you happen to be using this to make phone calls, you'll probably be quite satisfied. The GPS also worked as expected, identifying our location quickly when using Google Maps. Given the next issue, however, you'll probably want to bring along a backup device (or battery) for lengthy adventures. Despite the larger cell in this year's model, battery life with the Zoom is far from stellar. With fairly light use and the device connected to WiFi (cell reception in our test location was poor), including about 15 minutes of web browsing, 15 minutes of game play, 15 minutes of calling, 15 minutes of video playback, 15 minutes of Maps, 45 minutes of camera use and five hours of standby with push email activated, we were able to squeeze by with roughly seven hours of use. With heavy camera usage, photo sharing and mobile network access, we'd expect this figure to drop significantly, however. Unfortunately, we wouldn't expect to make it through a full day without a backup battery on hand. Also, to make matters worse, in typical Samsung fashion, when the battery meter falls to 5 percent, the screen drops to its dimmest setting and non-critical features cease to function. In this case, that includes the camera -- yes, for the final minutes of the Zoom battery's life, you cannot even shoot a picture. 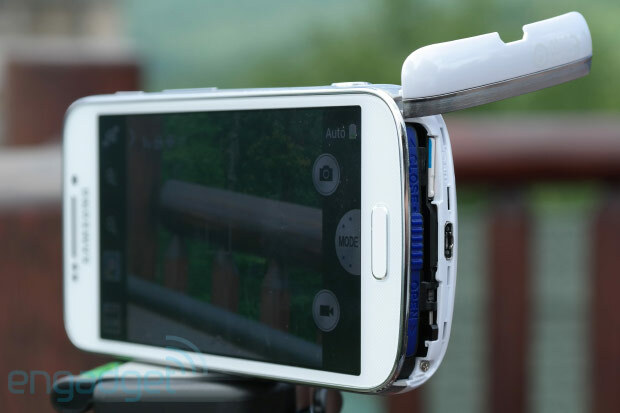 The Galaxy S4 Zoom is clearly the product of months of tweaking, collaboration and research at Samsung, but there's much work still to be done. We love that this year's model is a bona fide smartphone, in that you can use it to not only share images moments after they're captured from just about anywhere on the globe, but you can also make traditional phone calls without any hassle. We also see potential when it comes to Android running on a point-and-shoot, but for now, the drawbacks of sluggish performance and poor battery life far outweigh the benefits. 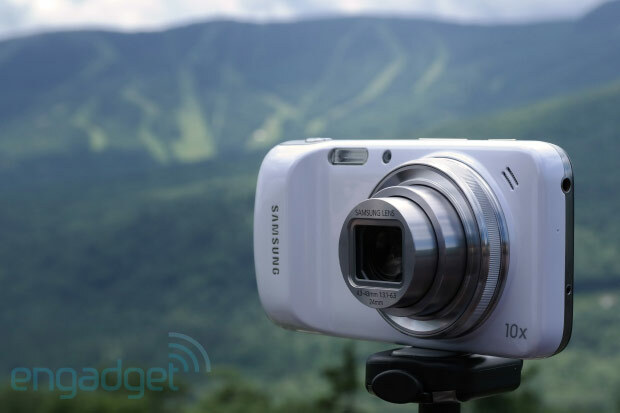 We're very eager to get our hands on Samsung's Galaxy NX mirrorless model, though. 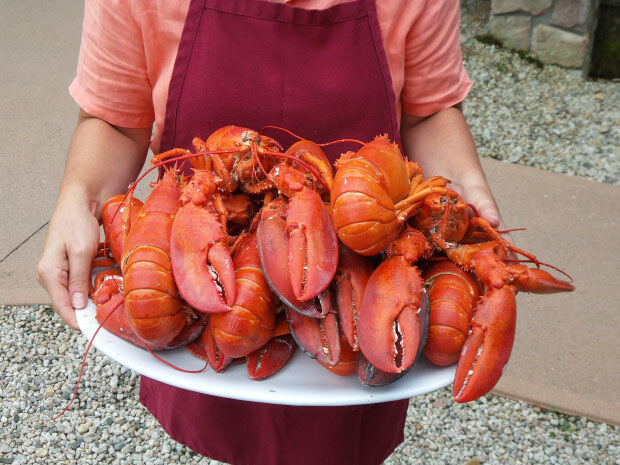 So, should you take the plunge now? If your contract has expired and you're stepping up from a low-end Android handset with a small screen, you may very well fall in love with the Zoom. But if you're considering a lateral move from one of this year's top performers, you're not going to be very happy here. Instead, consider adding a WiFi-equipped point-and-shoot, or sticking to the tried-and-true method of popping out an SD card or attaching a USB cable whenever you're ready to transfer. If you're willing to give Windows Phone a try, you may also want to hold out for the Nokia Lumia 1020, though the jury's still out on image quality there. Instant access is phenomenally convenient, but if you care about performance and accuracy, there simply isn't an Android camera yet that we can recommend.